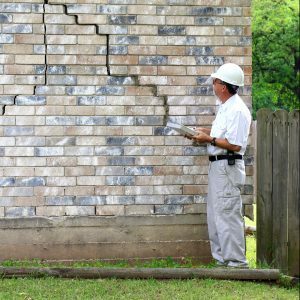 There are many different issues that can cause a foundation to experience damage over time. This is especially true in cities in and around the Houston area that have a high clay concentration in the soil. To ensure that you have the proper knowledge of what your foundation may be experiencing and to prevent future damage you should have an idea of what common issues you may be facing in regard to your foundation. We will detail the four most common foundation problems below, from shifting soil due to slab leading to incremental and extreme weather conditions. Explore all of the topics below and if you have any questions, just reach out to Jerry Bartlett at AAA Foundation Service – the owner and operator. The soil in and around Houston is expansive and when moisture if applied and removed from the soil it expands and contacts. This can lead to soil movement over time and can cause your foundation to shift. The shifting foundation can crack and lead to numerous other issues including creating a gateway for termites to enter your home. If you notice gaps in the soil around your homes foundation and cracking on the exterior of your home just give us a call and we will come out and look; no obligation. Often plumbing leaks below a concrete slab will go unnoticed for a lengthy period, however, they are very damaging to your home’s foundation. Plumbing leaks under your foundation allow moisture to penetrate the soil and cause the soil to expand. The constant moisture in the soil at high levels allows the foundation to shift and heave which leads to issues. Most often you will notice foundation complications on the side of the home where the main water lines enter, or where the bathtubs drain out. If this is the case it is strongly recommended that you have a pressure test performed on your plumbing to find out exactly what is happening under your home. This one is straight forward, Texas is hot, and the concrete jungle of Houston is even hotter. The sun dries out the soil that surrounds your home in the middle of summer, and when this happens the soil contracts. Then we come around to hurricane season and we get water dumped across the city. This constant see-saw in the soils moisture level is terrible for your home foundation and is probably the biggest factor in needing a slab repair across Houston and the surrounding cities. Slab construction in Houston must be a quick process, especially in the summer months. When you are mixing concrete, there needs to be a certain level of moisture present for it to set properly. Unfortunately, the extreme heat can dry out a foundation quicker than the concrete manufacturers intend it to happen. This is a serious issue for a good amount of Houston homes. Improperly mixed and fast drying concrete tends to shift and crack with ease. If you are finding a large about of small hairline cracks in your foundation now is the time to act and find out if you may need leveling or repair. If you have concerns that the concrete slab that supports your home is having trouble, call us today to schedule a free in-home estimate with one of our certified foundation specialists. 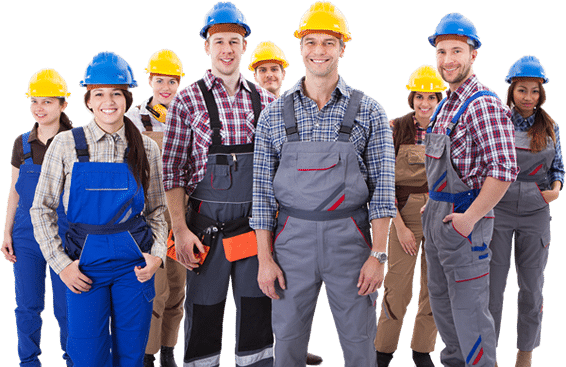 We have been in business in Houston for 60+ years and have been trusted with thousands of Houston home foundation repairs.